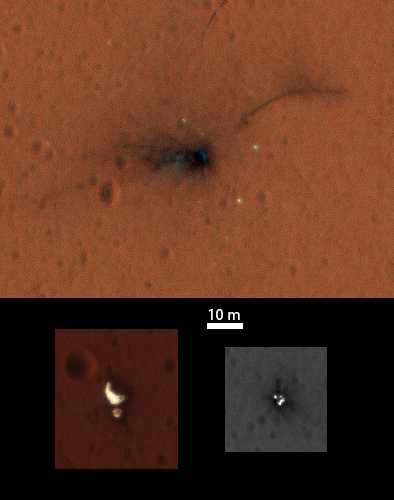 The Schiaparelli lander, named for the Italian astronomer, was a technical pathfinder for the more ambitious ExoMars rover mission designed to place a Russian-built landing platform and a European rover on the surface of Mars in early 2021. But the saucer-shaped landing demonstrator ran into trouble after deploying a supersonic parachute to slow its descent Oct. 19. While the parachute functioned as designed, Schiaparelli’s Inertial Measurement Unit, or IMU, struggled to sense unexpected high rotation rates as the parachute unfurled, triggering a chain of events that led to the lander’s demise. ESA released Wednesday a summary of a report written by investigators tasked with identifying the causes of the crash landing, confirming initial suspicions that the IMU, which measures the lander’s rotation rate, fed data to Schiaparelli’s guidance system that led the computer to believe the lander was nearly upside-down. The IMU became saturated, meaning it exceeded its expected measurement range, when Schiaparelli rotated faster than predicted. The lander stabilized, but the guidance computer kept the erroneous orientation reading instead of updating its attitude. The bad attitude estimate, coupled with data from a radar altimeter, led Schiaparelli’s guidance system to calculate that it was below ground level, according to ESA. The lander jettisoned its parachute and backshell, then fired its braking rockets for three seconds — not the 30 seconds intended — before turning them off and dropping to the Martian surface. The lander impacted at 335 mph ( 540 kilometers per hour) after plunging from an altitude of 12,000 feet (3,700 meters), ESA said. 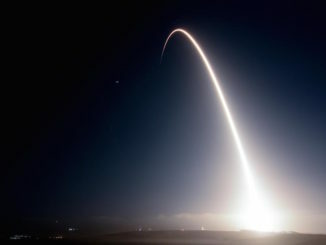 The board of inquiry did not identify any hardware issues with the parachute itself, and the braking rockets appeared to work as designed during their abbreviated firing. Limited data from the radar altimeter also indicated it functioned as intended, and engineers wrote that the rotation rates detected by the IMU were real, but could have been mitigated by more stringent testing and verifications. Schiaparelli aimed to become the first European spacecraft to successfully land and operate on Mars. It rode piggyback to the red planet with ESA’s ExoMars Trace Gas Orbiter, which slipped into orbit around Mars on Oct. 19 as Schiaparelli descended to the surface. The Trace Gas Orbiter is working as designed and collected preliminary sets of science data in November and March before beginning a series of dips into the Martian atmosphere to reshape its orbit into a circular perch around 250 miles (400 kilometers) above the planet. TGO’s science mission will formally start in early 2018 once the “aerobraking” maneuvers are complete. 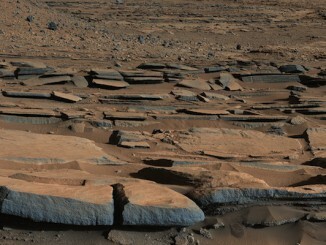 The orbiter’s chief objective is to measure trace constituents of the Martian atmosphere, particularly methane, a gas detected intermittently over the last decade that scientists think could be produced by microbes or undiscovered ongoing geological activity. Other instruments on the Trace Gas Orbiter will look for signs of water hidden just below Mars’s desert surface and take color and stereo images. Schiaparelli was primarily built as an engineering pathfinder, but it carried a meteorological station to gather data on the conditions at the landing site in Meridiani Planum, a broad equatorial plain selected for its safe topography. The battery-powered lander was supposed to operate for a few days after touchdown. A radio aboard TGO collected status signals from Schiaparelli during its descent as the orbiter fired its main engine to steer into orbit around Mars. It was the first time a Mars craft has conducted simultaneous relay and orbit insertion maneuvers. Investigators identified several recommendations for designers of the ExoMars 2020 mission, which will depart Earth in July 2020 on a Russian Proton rocket and arrive at Mars in February 2021 to search for biomarkers and other signs of past life on the red planet. The descent module on the ExoMars 2020 will be built in Russia by NPO Lavochkin, a Russian aerospace contractor, but some of its critical components will by supplied by European companies, including an on-board computer, software, the guidance system, radar altimeter and parachute. The Inertial Measurement Unit on ExoMars 2020’s descent module will also come from Europe, but it will be of a different design than the unit on Schiaparelli. 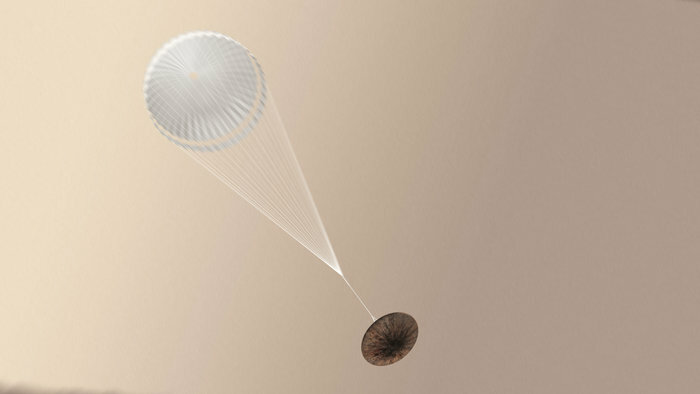 Investigators also recommended cross-checking the European parachute behavior models with experts at NASA’s Jet Propulsion Laboratory, double-checking the strength of parachute bridles, and the inclusion of two IMUs on ExoMars 2020 for redundancy. 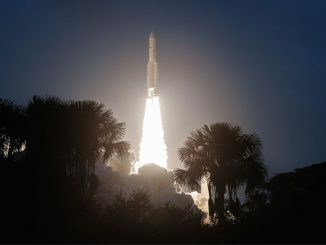 ESA should also reconsider an external peer review of the overall ExoMars 2020 entry, descent and landing system design and additional testing and analysis to account for missing flight data on the descent module’s final retrorocket landing sequence not acquired by Schiaparelli, officials wrote in the report. 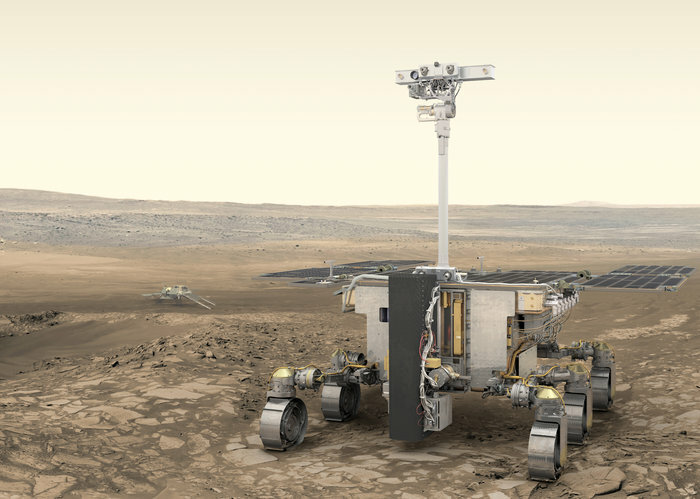 The failure review team also urged closer ties between NPO Lavochkin of Russia and Thales Alenia Space of Italy, prime contractor on the Schiaparelli mission and head developer of the ExoMars 2020 mission’s European segment.